How do you know if your child is heading for a meltdown? Well, I guess the better question is, you probably already know what a meltdown looks like. Unsure how to control it or stop it from further progressing. There are all kinds of emotions that attribute to the possibilities of meltdowns. When children don’t know the skills of how to self-regulate, situations begin to spiral out of control fast! This happens to be a skill that we all need to learn and we probably were taught when we were very young. We all need to be equipped with these coping skills and it’s very important to learn to self-regulate. This is especially hard for children with Sensory Processing Disorders and practicing it is also important. Having a calm down area is a great way to encourage and help children to learn how to self-regulate. We all process our emotions differently and knowing from experience it is especially harder for those who have processing disorders. My daughter is 13 now and she’s getting better at regulating herself so I can say it’s getting better! I’m having to confess that I’ve not always known what to do. When the meltdowns started I just thought it was the terrible 2’s and she would grow out of it. I wasn’t oblivious to the issues, because she was developmentally delayed and had medical disorders, but to me, a meltdown was a meltdown. I wasn’t very familiar with sensory disorders. She had feeding problems because she had issues with food textures and vomited a lot! One day I started explaining to a therapist we had about all the temper tantrums she was having and I had even filmed them with my phone. She said that just by me talking and seeing the video that she was definitely having Sensory Overload and didn’t know how to process it. Well after giving me some info on it that’s when my eyes were opened and suddenly I really started to feel like a horrible mother because I was trying to reprimand her for a behavior that she couldn’t even process! My thinking she was just going through those terrible 2’s like both of her sisters did. With that all being said there is a ton of info out there and lot’s of advice now. I’m so thankful for it. I think most parents find themselves in my shoes from time to time. It’s always good to hear what works and how to implement those things. With the help of therapists and recommendations from DR’s and a lot of trial and error, we have implemented a good space for her. We have created cards she carries with her clipped to her bag, laminated paper that has a list of thing to do when she’s feeling an emotion that is giving her anxiety. It’s not a 100% effective but it’s made a night and day difference in her daily living. Also what a huge difference it has had as a whole in our families life and home life. Too much of my surprise there is subscription Boxes now that help you address Sensory Processing Disorders at home. If you suspect your child has a Sensory Processing Disorder you can go with a plan of action. These subscription boxes have unique ways of incorporating what your child’s needs are. 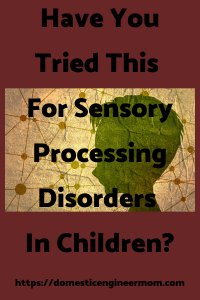 They target developmental delays which could be the cause of some Sensory Processing Disorders. Having access to the right therapy toys can help increase growth and imaginative play. A lot of these items can be used as self – soothing options to use for calming solutions. Not everybody has good access to the right kind of therapies your child might need. You can trust that you will be receiving good items because they are picked by a therapist that is trained in Sensory Processing Disorders. It was me, Gabrielle and Judah and we were going to breakfast and had grocery shopping to do afterward. I had asked the kids where they wanted to go and so they decided to go to I-Hop. We had left the house, but on the way, I had mentioned a couple of other places. So we decided to avoid I-Hop and go to Cracker Barrel. Gabrielle had her mind set on a cinnamon roll. I-Hop doesn’t have cinnamon rolls so she was going to have a waffle there. Thinking that Cracker Barrel had cinnamon rolls we went there. We sat down and started to look at the menu and we didn’t see any rolls on the list. Well, that just escalates things and caused her to be more upset. I asked her if she needed to go to the bathroom so she could calm down but she declined. Needless to say, it wasn’t about the cinnamon roll, it was about the change of places and that’s why she was overwhelmed. You see it’s really hard for children with Sensory Processing Disorders to understand and be able to deal with a change like a typical person. It can be overwhelming and depending on the situation can produce a lot of different emotions. All turned out well and she had her muffin and fruit but I have a confession to make. In the middle of the meltdown I had asked her “if I gave you $5 would that make you feel better” and she could buy something in the store at Cracker Barrel. Yes, it wasn’t my finest moment but I did feel a little guilty for changing the location where we ate. I was testing her because we are definitely still in the practicing stages, but I do have to say bribing didn’t work. 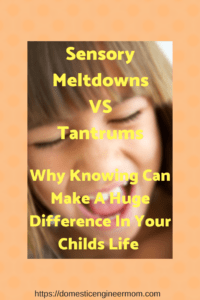 Sensory meltdowns are different than just being a BRAT and wanting to get your way. I did give her the money and she did buy something. I also told her I was very proud of her for being able to calm herself at the table and not having to remove herself. So I am going to throw another ball in the ring. Having dealt with anxiety personally, and 2 of my own children having different degrees of anxiety, I want to just briefly touch on anxiety in children. This can be such a complex issue and may mask itself in many ways. That’s why it is important to seek advice to see what your child is going through. 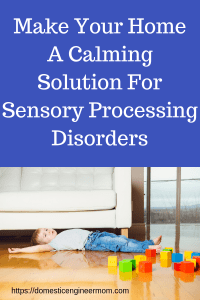 It would be of great benefit to determine if they have a sensory processing disorder or is a more complex issue such as an anxiety disorder. Or they can have both. 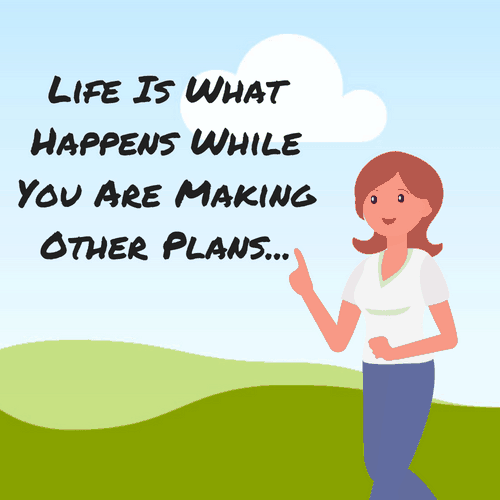 You want to be able to start a plan of action on treatment options as soon as possible. There are Affiliate and Referral links listed here to promote products that I love and recommend using. I do receive a commission on any purchases made through these links. You may also read my Policy Disclosure for details. Fun and Function have an awesome, endless amount of products to choose from. They also have a lot of various info on Sensory Needs and Advice, please check them out! You will not be disappointed! With the help of the therapist, I created a box that she could take to her room or take in the car. We call it her fidget box, this also works wonderfully for helping to calm down and process her emotions when she’s having a meltdown. Here are some of the items I would recommend and plus they have a lot more to choose from on the site also.